$30.0 SMALL ANTIQUE VICTORIAN FOOTSTOOL FOOT STOOL WITH HAND CARVED CLAW FEET 1800s?? 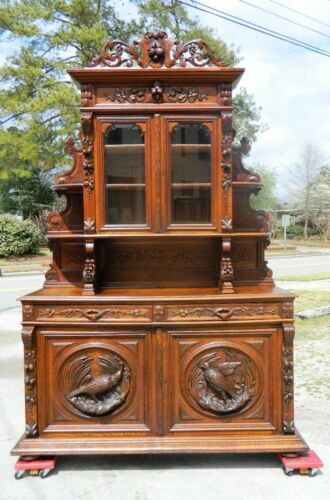 $245.0 Gorgeous Victorian Larkin Side By Side/ Secretary Desk! Beautiful wood! $500.0 2 Vintage “His & Hers” Victorian Mahogany Carved Parlor Chairs By Kimball Furn. Buy: $145.0 Original Antique Gothic Victorian Cast Iron Foot Stool, Gorgeous Ornate Detail! $825.0 42 Inch Round Oak Dining Table Paw Feet circa 1900 3 Leaves extends to 71"